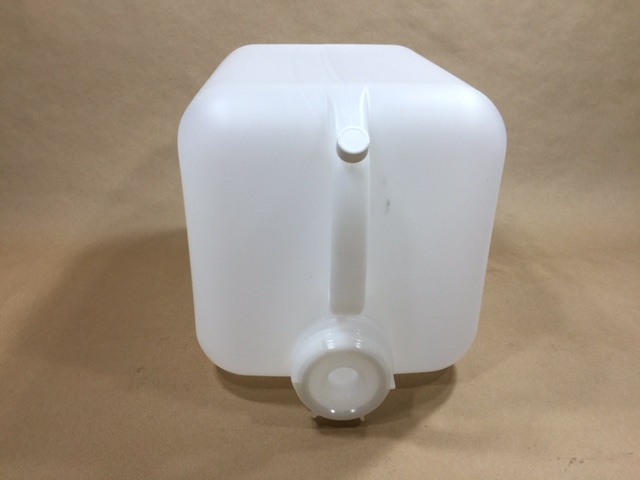 Do you need to store liquid in a large square plastic bottle or jug? If so, Yankee Containers may be of assistance. We stock a natural 5 gallon square bottle which is food grade, natural in color, and made of high density polyethylene. It is our item number KLW-EC1970NTNA-B. This large bottle comes with a FS70 cap and a 18mm vent cap on the handle. It also has graduation marks at the one, two, three and four gallon levels.